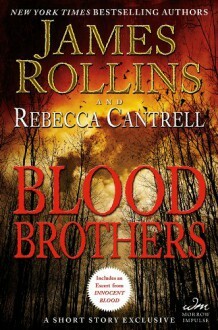 From New York Times bestselling authors James Rollins and Rebecca Cantrell comes a dark story of murder, mystery, and a brotherhood steeped in a bloody past. As a young reporter, Arthur Crane exposed the secrets behind the Orchid Killer, a cult murderer from the late '60s whose crimes blackened the end of the Summer of Love. Half a century later, Arthur wakes to find an orchid resting on his pillow, a symbol of death from a killer connected to his estranged younger brother, Christian. To discover the horrifying truth, Arthur will risk all--even his very soul--for Christian may not be the brother that Arthur remembers... Included with this thrilling story is a sneak peek at Innocent Blood, the second book in the Order of the Sanguines Series.